Technology Support covering Eastern Southland. At SouthernIT we're commited to providing outstanding service and the right advice. Our Staff have over 15 years experience in the IT industry and have been involved with a broad range of projects from single PC virus / malware removal through to full network design and server installation of large networks with several hundred computers. We offer both workshop and on-site service providing computer repairs and upgrades, networking, wireless network installs, website / email hosting, and many other hardware and software services to suit our clients needs. From a single PC at home through to school and business networks - we can provide the right solution for you. Either bundled with our web hosting plans or stand alone, SouthernIT provide business email hosting using Microsoft Exchange technology. 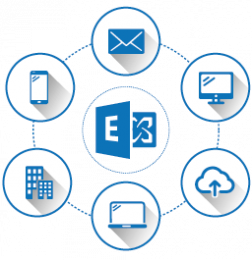 Our services connect with Microsoft Outlook 2010 and above, the Outlook app for Android and Apple, or use our advanced webmail platform. Synchronized calendar, contacts and email across various devices all backed by our workshop and onsite service. Our Website Builder offers the latest 'drag & drop' technology to make building your own website a breeze, and is included at no extra cost with all our hosting plans. Choose from 190+ available templates and customise to suit, or start from scratch with your own design. Standard features include: No setup fees, unlimited traffic, HTML, PHP & MySQL database support, customer portal with web stats and of course our SouthernIT Website Builder. Workshop or onsite computer repairs and upgrades, at a time that suits you, and at reasonable cost. With technology available today, some computer repairs and maintainance can also be performed remotely over the internet. From a simple laptop or desktop memory upgrade right through to a total network overhaul, you can trust us to deliver the right solution at a great price. Using 1080p HD cameras and a dedicated hardware NVR supporting up to 50 cameras we provide quality video surveillance accessible via any internet browser or the included phone app from anywhere in the world. With options to record constantly or only on motion, and built-in infrared night vision our indoor / outdoor cameras are an excellent choice to keep an eye on your property. As an OEM systems builder, we offer our customers the ability to choose from the best quality components available today, and have these assembled into your own custom PC or server built by us in our workshop. 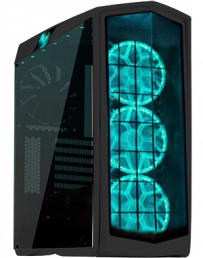 High end gaming PC's, home theatre computers, desktops or servers at a competitive price to your specifications - all backed by our local support. Using quality wireless hardware we offer the ability to connect multiple buildings together over a distance of many kilometers, or provide complete coverage inside your buildings where a single router can't. Share a single internet connection between the house and cowshed or roam freely around your workplace with no wireless coverage dead spots.